It’s time you faced it, if you haven’t already. You’ll probably have to do a lot of networking to find and land your next gig . . . unless you’re very, very lucky. So, get your head out of the job boards and stop wasting so much time sending your resume out in response to online job postings. Did you know that, although the vast majority of executive job seekers use job boards to find jobs, only a very small percentage, around 5-10%, will land jobs directly through them? First things first. Don’t start your job search without knowing what kinds of job(s) you want and which companies and organizations will provide opportunities that mutually benefit you and the employer. That requires targeting and researching, say, 15-20 companies, on how you can help them meet their current needs and challenges. In other words, determine what makes you a good hiring choice for them. You can hop onto the job boards as one means of company research but, please, don’t be tempted to spend the biggest chunk of your job search efforts responding to postings. Your mission is to use your research to help you define your personal brand around what differentiates your unique value from your competitors, and create your resume, biography, LinkedIn profile, and other career materials. Then you’ll network your way into the companies you’ve targeted those job search marketing collaterals towards, whether or not they’ve posted openings for jobs you want. Circumvent the gatekeepers for as long as possible. You’ll probably have to deal with human resources and executive recruiters at some point, but try to first become at least a somewhat known entity within your target companies. Identify and connect directly with people at your target companies − hiring decision makers and other employees at almost any professional level − where they hang out online and offline. LinkedIn Company profiles and each company’s website will help you find them. You may not know that one of the best ways to land a job at one of your target companies is through a referral from an employee. Employers are more attracted to people referred by their own employees because they feel they already know them. And the referring employees may receive a monetary reward for bringing in a good-fit candidate. Everybody wins. This proactive approach will lead you into the goldmine of “hidden jobs” at your target companies. 1. Be ready to tell people how they can help you. Just as you need to be prepared – through your industry and company research – to speak intelligently about trends and issues impacting your target market, you need to be prepared to speak intelligently about yourself and your value in the marketplace. If you can’t specifically tell people what you’re looking for, they won’t know how to help you. Make it vibrant, but keep it short and to the point. Practice it many times until it becomes second nature and flows easily. 2. Connect more deeply with the people you already know. Reconnect with and revive your existing network. If you’re like many executives I speak with, you’ve neglected them because you had a job and didn’t think you needed them or you just lost track of them. This happens to the best of us. It’s okay to circle back to them. Briefly apologize for not re-connecting sooner. Check in with them and find out what they’re up to and update them on what you’ve been doing. But don’t then rudely burst into a request for them to help you get a job. Reconnect first and revive the relationship. Then you can ask them if they have any connections at your target companies. And see if they’d be willing to recommend you and/or write you a letter of introduction, stating some of your qualifications. Also, reach out to former clients and vendors, professional associations, community groups and lifestyle groups. 3. 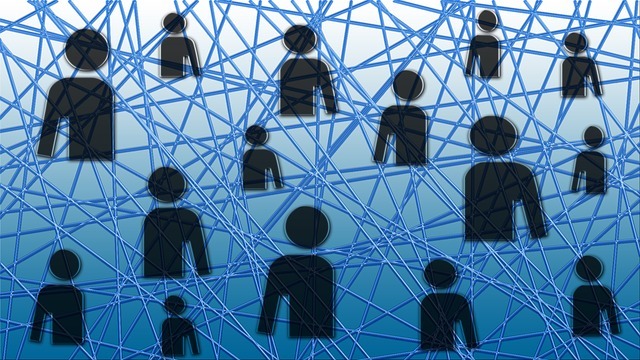 Cast a far-reaching net to build out your existing network with fresh faces. Your existing network will only take you so far. At some point, you’ll have to try to connect directly with people you don’t know . . . in-person and online. The following are networking tips to help you reach out to and engage people you already know and those you don’t. The gold standard for executive networking. If you’re not there already participating in Groups, posting updates, and reconnecting with people you know, and making new connections, it’s time to get busy. Leverage LinkedIn to network towards making first degree connections with people at your target companies. Search Twitter for your target contacts. Follow and retweet them. Also look for your target companies themselves, job search experts, and job boards. They’re tweeting job openings, offering advice and resources, and much more. An active Twitter presence also shows you’re an up-to-date, social media-savvy candidate. Each one offers its own benefits. Decide how much time you can allot to social networking and which ones will work for you. If your target people blog or write articles on sites, post comments that reinforce your brand and promise of value, and keep you top-of-mind with them. Hobnob with other subject matter experts and thought leaders. Join committees. Write articles within your areas of expertise for their newsletters and websites. Mentor a new member and/or less experienced professional. Get to know those around you – your co-workers, vendors, customers, and people in other departments. Don’t overlook opportunities to meet and make connections in-person at industry trade events, conferences, and local commerce events. Connect on a local level by volunteering. Tap into your areas of expertise and personal passions to lead and/or participate in community events, PTA efforts, organization Boards of Directors, fundraising efforts, sports activities, etc. → Practice “give to get” networking. Approach new contacts with the attitude “how can we help each other?” Don’t expect favors without giving something in return. Networking that works for everyone is all about helping, sharing, finding common ground, and being a good listener. → Be kind, take it slow. Keep in mind that many of the people you want to network with are probably being tapped by more job seeking connections than ever before for advice and leads. Don’t be offended if they don’t respond. They may not have the time. → Be a good listener. People remember those who give them that boost by being truly interested in what they have to say. Good listeners set themselves up for reciprocity in networking. They’re much more inclined to keep engaged listeners top of mind when they hear of an opportunity that may be a good fit for them. → Nurture relationships by staying in touch. Send birthday, anniversary, and holiday cards by regular mail. Email them with links to blog posts and articles you know they’ll like. Let them know about upcoming industry events, trade shows and other events of interest. Pick up the phone and call people sometimes. → Be friendly and upbeat. Nobody likes a downer who constantly complains about how bad things are out there. → Say thank you a lot – in person, on paper, and digitally. This is one of the most neglected networking best-practices. Nothing shows your appreciation better than a hand-written, regular-mailed thank you note for an introduction, kindness or special gesture. And remember to extend your thanks and compliments to presenters and contributors at industry events, and anyone whose work was valuable and impressed you. Your take-away from all these efforts? Circle back to your established, trusted network, while reaching out to new people in new places. Strategically spreading your personal brand and promise of value across diverse outlets online and offline will link you to opportunities that otherwise may have been invisible to you. You just never know who may lead you to a key decision maker and when a great opportunity may literally fall in your lap.